The founding fathers never imagined an administrative state with unelected officials having unbridled power to make legally binding edicts. They feared that without checks and balances, tyranny could result. So is it in keeping with the checks and balances necessary for good government to give an unelected board, the Site Evaluation Committee, the absolute power to approve projects such as the Northern Pass? Those who oppose the Northern Pass believe the project poses an existential threat to the beauty, character, and economic viability of New Hampshire. If the Northern Pass is approved, New Hampshire will forever be altered by the construction. Suppose the opponents of the project are correct. Does it make sense that approval of this project rests only with the SEC, without the checks and balances of legislative oversight? The SEC is an unelected administrative body, yet its decision is binding. Administrative power exercised by unelected and not independent officials, such as the SEC, is “the very sort of power that constitutions were expected to prevent,” according to Columbia University law professor Philip Hamburger. He warns that power wielded through administrative power violates constitutional guarantees of due process. Most of the members of the SEC are state commissioners who owe their state jobs to nominations by the governor with confirmation by the Executive Council. Governor Sununu’s election campaign was funded in part by Eversource, and the governor is an outspoken advocate of the Northern Pass. No matter how well-intentioned the members of the SEC are, they are not independent. The members of the SEC may care about New Hampshire, but they are also self-interested. Their financial well-being and career success depend, in part, on not antagonizing the governor. Their self-interest introduces a cognitive bias in favor of the Northern Pass. So how likely is it that the members of the SEC will give full consideration to the costs of this project? Eversource would like to reap the benefits of a project while having the costs borne by others, but why would New Hampshire allow that? Shouldn’t New Hampshire be a bastion of free enterprise rather than a doormat for a crony capitalist boondoggle to deliver power that is not necessary for the reliability of the grid? 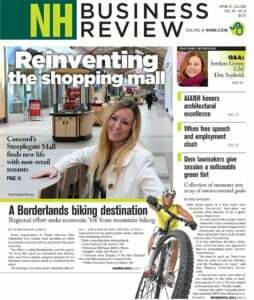 Northern Pass will impact tourism, the second-largest industry in the state, and it will reduce property values. As property values fall, tax revenues will fall, forcing tax rate increases. As tourism is impacted, jobs will be lost, and the New Hampshire way of life will be threatened to provide phony “green” energy to Massachusetts. The Massachusetts Legislature mandated the use of hydropower, an energy source that state cannot supply itself. There are people and businesses all across New Hampshire whose property and livelihood will be dramatically impacted by a project that would not even exist without the artificial mandate from another state. Why should the interests of New Hampshire be made subordinate to the interests of Massachusetts? Our Legislature can pass a bill requiring legislative ratification of SEC decisions. Noncontroversial projects will be easily approved, while projects such as the Northern Pass will face a higher standard. This is how it should be; the Legislature can bring checks and balances to New Hampshire. We all have neighbors who have built businesses and earn their livelihood, directly or indirectly, from the tourism industry. Do they not deserve legislative oversight over a decision that threatens their way of life? Our neighbors in the North Country and other impacted parts of the state have demonstrated their love for their land. Do they not deserve legislative oversight over a decision that threatens their property rights? Do our children and grandchildren deserve the Legislature’s stewardship of the beautiful state we call home? Is it not the time for our citizen legislature to prevent the SEC from being a vehicle by which Eversource and Massachusetts impose their will on New Hampshire? Barry Brownstein lives in Thornton.